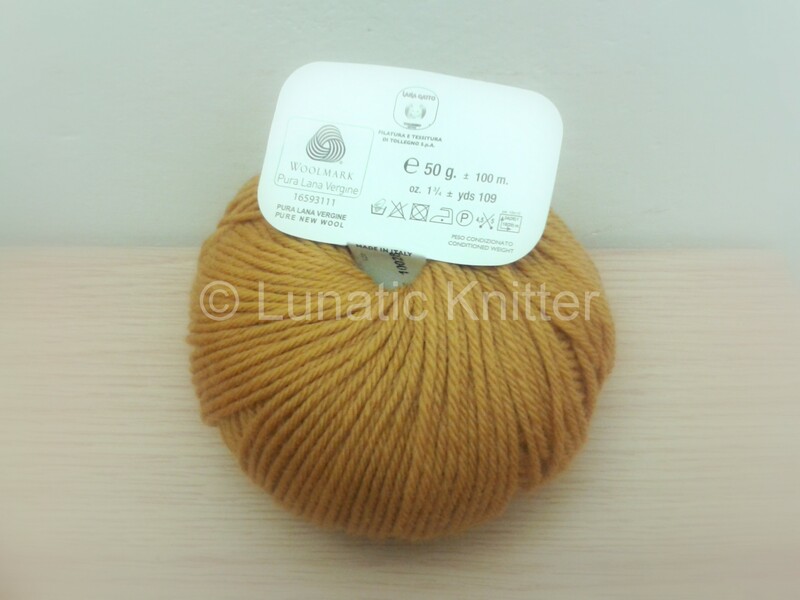 Is it really possible to determine if a yarn is real wool and not acrylic just by looking at it? Some people say this but I sincerely do not believe it, at least not through a PC monitor. Real wool is softer than acrylic. Maybe other people do not even notice that. In my experience instead, touching acrylic causes tingling in my fingers. This can be also a good indicator. Acrylic is a lot cheaper than wool, I know. But in my personal opinion it is not a matter of money but of quality. I do not care if I can save money by getting a lousy yarn. I am not talking about taking a bank loan in order to buy cashmere for an adult size sweater. I mean pure wool. That’s all. Take two pieces of the same yarn and wet their ends a little bit. Now fray them, push one end into the other and weave them togehter. Now rub the wet part quickly between your hands, until they are dry. If you pull and the pices stay together / have felted, it is rel wool. If they come apart again it’s some other yarn. You burn a strand of yarn with a lighter. If it has a chemical smell and melts rather than turning to ash, it is acrylic. Otherwise, if it smells of burned hair and turns to ash , it is wool. I tried this test only at home, not trusting a yarn seller at the market. I had not the courage to test it there directly. Otherwise…can you imagine the scene? Tuesday morning, at the Florence biggest local market. A quiet atmosphere, grandparents that walk slowly, mothers pushing baby buggies, buyers talking in dialect yet with a smooth tone. All of a sudden in one of the yarn stands a man screams aloud: someone is trying to set one of his merchandise on fire. Or just to be more precise, someone is still trying to discover whether the yarn ball is pure wool. Or not. This entry was posted in Uncategorized on January 30, 2014 by Claudia. 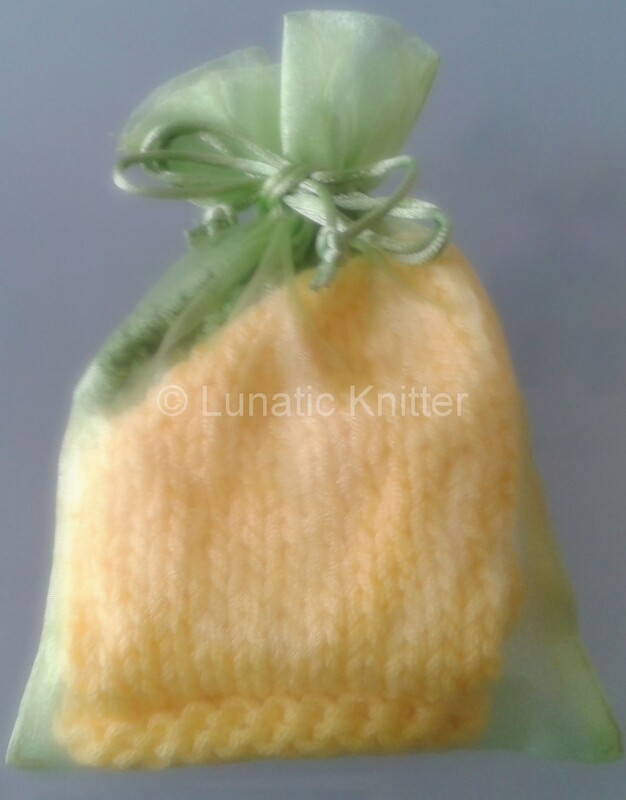 One of my knitting designs for babies I am particularly fond of is this baby lemon hat. I designed it because I could not find in the shops any baby hats for my daughter made with natural fibers only. Moreover I wanted something in a brilliant colour like the sun in a period where the sky was almost always grey. 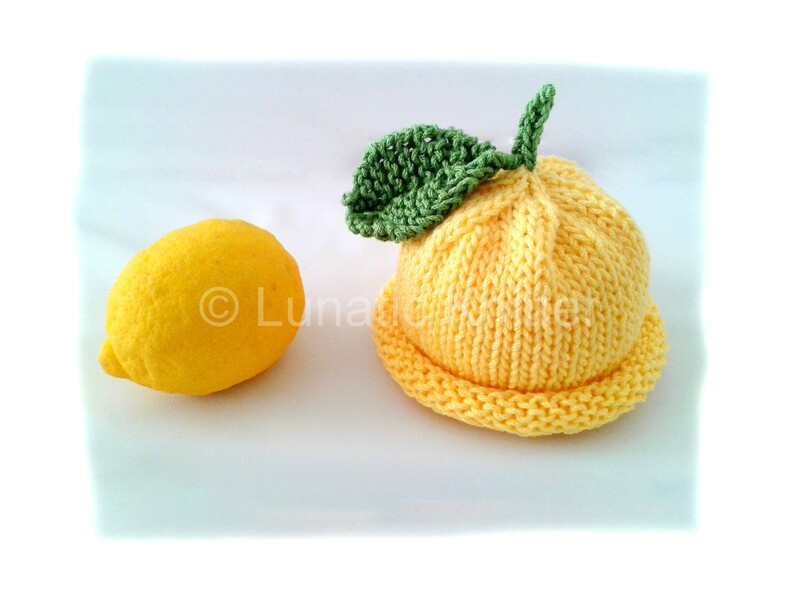 This is how the baby lemon hat pattern came to life. I worked with circular needles, so it was not necessary to sew it. If you have never worked before with circular needles, I would suggest to try it. This project is simple enough to start with as there are a lot of pictures in the pattern showing the different steps. It will take only a few hours to be completed and the result will be gorgeous. This baby hat is wearable all the year round: in cotton for summer, in soft merino wool for winter season. I gave it as a present for babyshowers and the parents appreciated it a lot because they could take funny pictures of their little ones wearing this cozy hat. Here is an example on how to wrap it as a gift: inside a lime green organza bag. It does really make an impression! This entry was posted in Uncategorized on January 21, 2014 by Claudia. It is produced annually from sheeps’ hair and is bio-degradable. It respects the environment. Acrylic is cheaper, I know. But to buy wool means to invest in quality and duration. Afterall, having knitted something unique, I bet you want your creation to last as long as possible. It insulates you and at the same time allows your skin to breath. In plain words, it avoids the buildup of odors. Moreover, it is anti-bacterical and thus more hygienical. It is well-known that it keeps you warm in winter and fresh in summer. 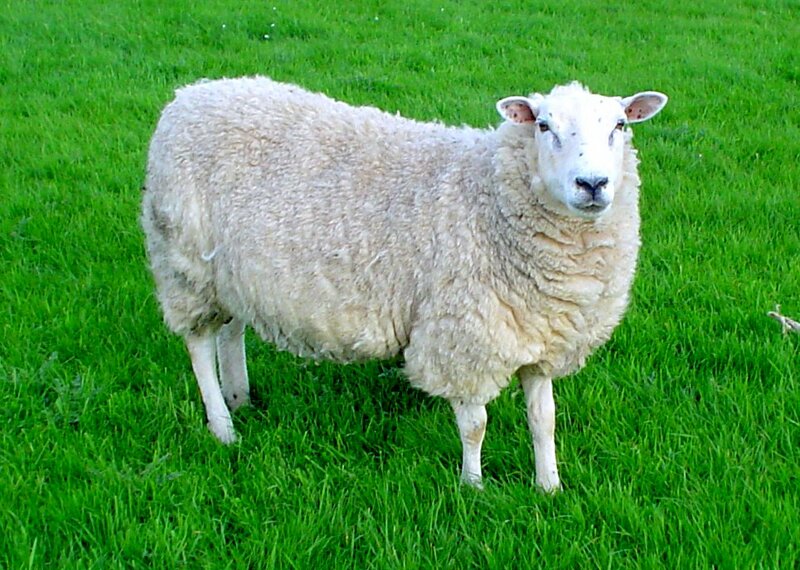 I feel safer just wearing a wool sweater instead of one made of synthethic fibers. If you know how to distinguish wool than acrylic (I will also write a post about it) you should know what can happen in case of fire. I wash almost everything in the washing machine. I set the washing machine at the specific cycle, use a neutral detergent and afterwards lay it flat to dry. Of course I follow always the yarn label’s care instructions. If something is very delicate I just hand wash it, it is not a big deal. This entry was posted in Uncategorized and tagged acrylic, flame retardant, natural, sheep, wool on January 18, 2014 by Claudia. If you don’t know me, you can look at me doing some strange movements every time I take my coat off, such as lifting slowly my hair with one hand and to put it down carefully only once this operation has been accomplished. Or you can see me touching the door first before touching the doorknob. Or to wait for someone near me to press the metallic button of an elevator. I simply do not like getting zapped by static electricity. In my lifelong experience as human lightning rod, the shock is guaranteed with the combination of rubber shoes and synthetic clothes, especially in winter when the air is dry. But have you ever noticed how difficult it is to find a garment which is made of pure wool only? I am telling you this because I always read the labels. I pick up every single sweater I may be interested in and check for the materials used. 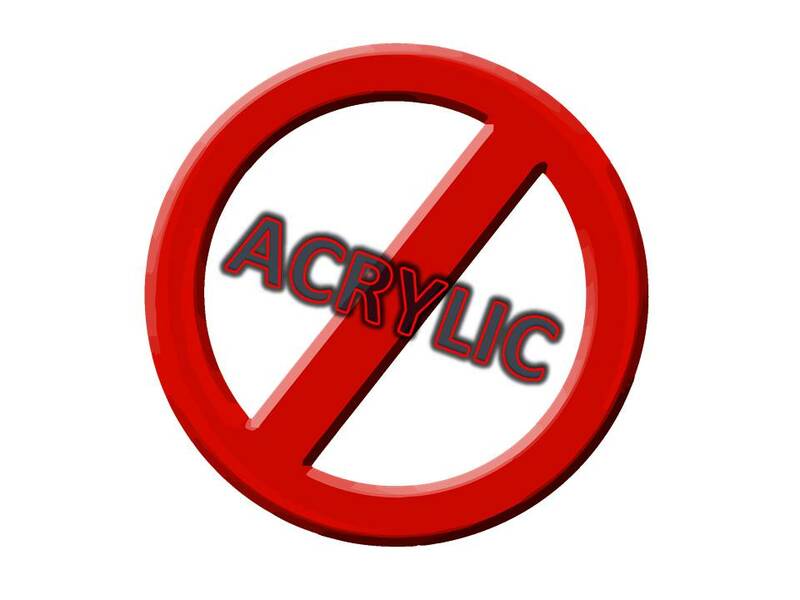 Even the most famous brands sell products which are completely made in acrylic. And if you find one made of 100% wool, the price is unbelievably high. That’s how I started knitting. I am a self-taught knitter. Unless it is possible to learn it through osmosis, by watching my mum creating wonderful knitted and crocheted items for the family. Since my daughter’s birth, I discovered my interest in designing knitting patterns for babies. Hats, headbands, shoes, dresses, cardigans, tops, etc. I really love doing it and to look at my special model wearing my creations. How did you start knitting? I would love to read your stories! This entry was posted in Uncategorized and tagged how it all began, knitting on January 16, 2014 by Claudia. 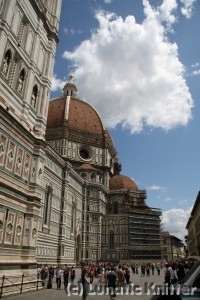 I am Claudia, I am Italian and I live in the beautiful Florence in sunny Tuscany, Italy. I am married and have a lovely little daughter. In this blog I would like to write about my life and my knitting creations. This is my first blog experience ever and I feel very excited about it! 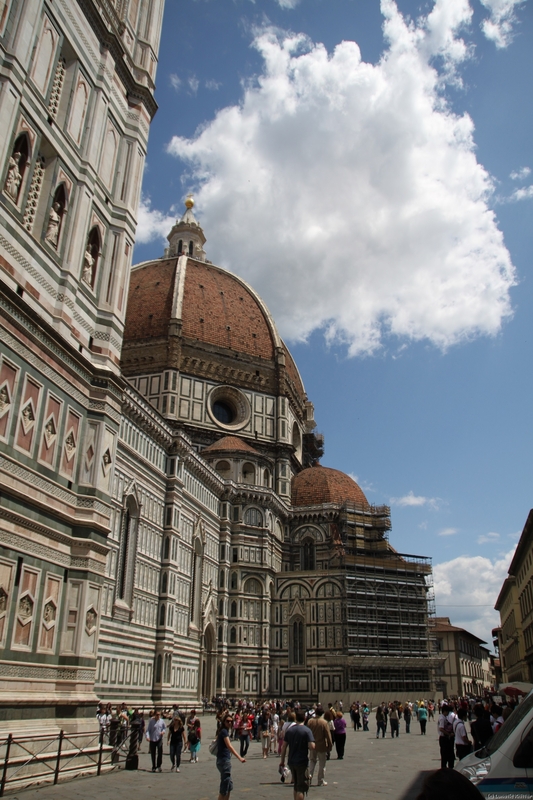 This entry was posted in Uncategorized and tagged Florence on January 14, 2014 by Claudia.